Marie-Louise completed her degree in physiotherapy in 1986 at the University Of Pretoria, South Africa, where after she specialised and completed her honours in Sport Science at the University of Cape Town. After her graduation she worked in a number of public hospitals, before opening her own private practice in Pretoria, South Africa, where she practiced for 14 years. Her family immigrated to Australia in 2004 and settled here on the Sunshine Coast, where she joined Pumicestone Physiotherapy, Golden Beach, and became owner of the practice in 2007. Marie-Louise has a special interest in Sport injuries, with experience in the analysis, biomechanics and treatment of these injuries. She is an experienced Craniosacral and Musculoskeletal Therapist and skilled in Myofascial and Neural Release Techniques. She also has a special interest in the management of chronic pain and is experienced in trigger point dry-needling. Outside physiotherapy, Marie-Louise has always been active with sport, in past playing tennis & squash. Inspired by her husband, Allen, and two boys, Michael and Daniel, she has recently taken up running and cycling. Jo Hetherington is a Physiotherapist and full member of the Australian Hand Therapy Association. Jo qualified in Physiotherapy from the University of East Anglia, UK in 1999. After working in the NHS for 3 years she moved to NZ and worked in the Christchurch Hospital Hand Therapy Unit for 14 years. Jo completed her post graduate training in Hand Therapy in 2005 and became Team Leader for the Musculoskeletal Physiotherapy service in 2014. In 2017, Jo moved to the Sunshine Coast and is excited to offer Hand Therapy services within the area. Jo is passionate about Hand Therapy and strives to achieve optimal outcomes for clients to reach their functional goals. If you would like to know more of what Hand Therapy Services can be offered, please call Pumicestone Physio and Sport. 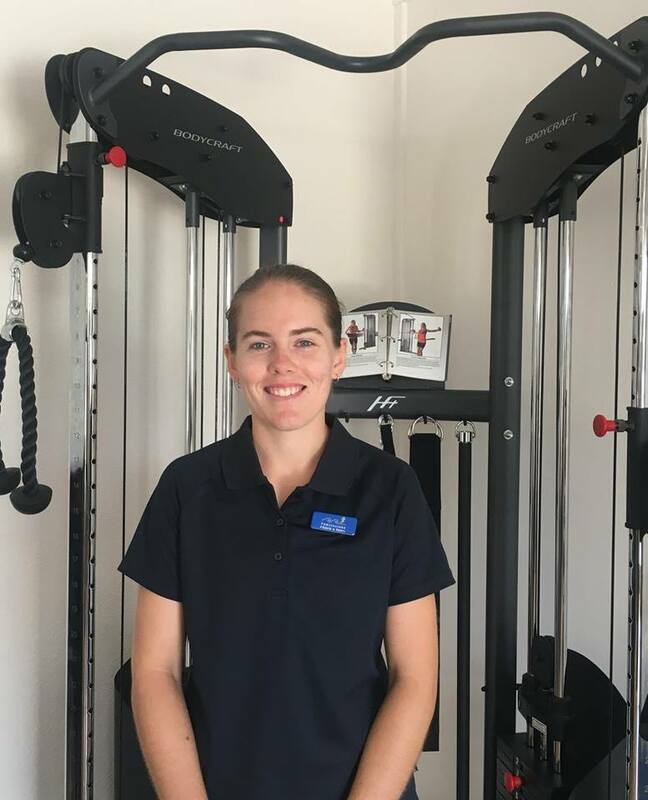 Paige Jenner is an Accredited Exercise Physiologist, recently graduating from the Sunshine Coast University with a Bachelor in Clinical Exercise Science. Paige has a particular interest in musculoskeltal conditions and is able to help people manage chronic conditions with exercise prescription, physical activity education and self management programs. Tess Robinson is now available on Thursdays and Fridays for Remedial Massage.